We received an Apple Park Baby Gift Crate from our friend, Jasmine, for Baby Boy's first birthday recently. 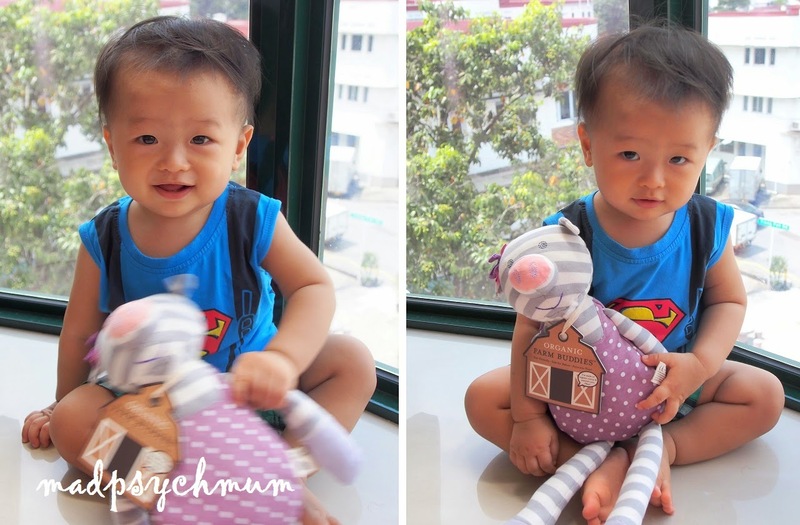 It was from her online shop, Shop Beba, which sells high quality, organic stuff for your baby. Love this face towel! So soft and fluffy! What's that hiding in the box? It's a Monkey finger puppet! Shop Beba also sells super cute Kinderspel lunch bags and bibs though the price is also higher than ordinary products (there is always a price for quality and luxury). Jasmine also sent me an Apple Park plush so that I can review it and run a giveaway for my readers (she knows that I write a blog). 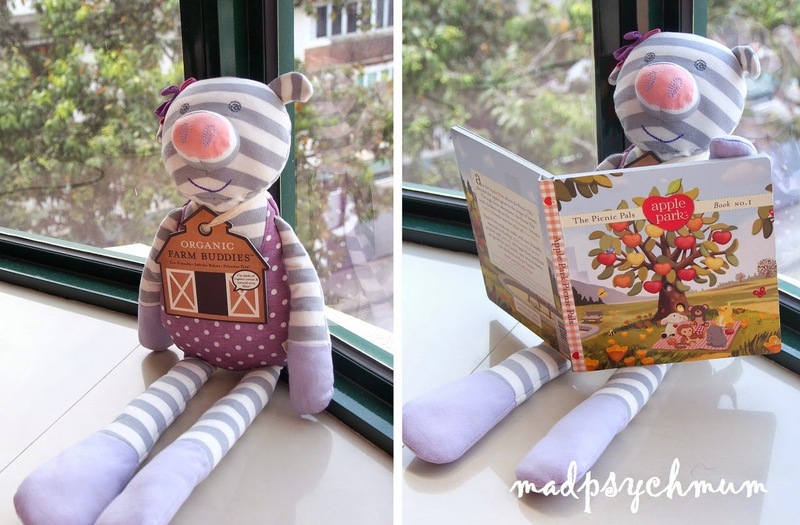 Reading a book by the window.. Though I think the girl and I like it more than my boy, who doesn't really care. My girl was the one who chose Penny Pig and loves to hug it. I think it's probably a girl-thing to like soft toys. 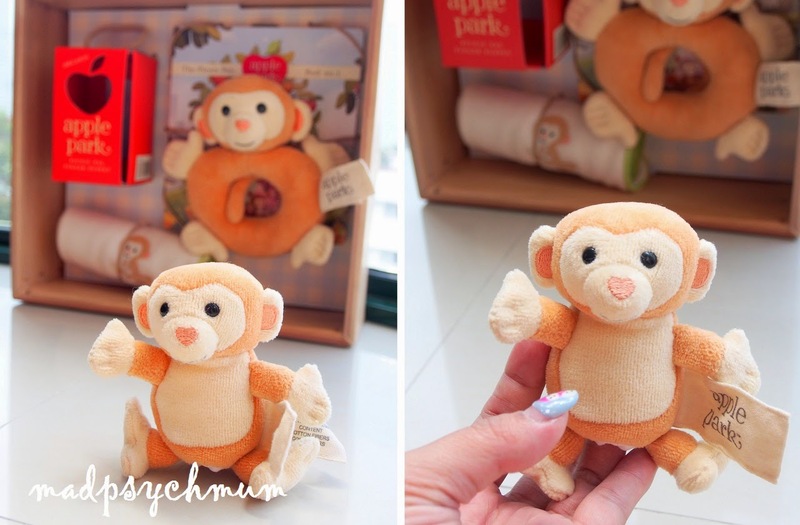 To share the goodness of Apple Park with our readers, we're giving away 3 Apple Park Organic Farm Buddies 18 inch Plush: 1 Ballerina Mouse, 1 Boxer Dog and 1 Pirate Pig (worth S$39 each) to THREE lucky winners (1 plush each)! a) This giveaway ends on 9th February 2015 (Sunday) and is only open to readers living in Singapore. b) Participants must complete the entry above and enter them into Rafflecopter in order to qualify. Other entries entered into Rafflecopter must also be completed (I do check!). Incomplete entries will be disqualified without notice. d) The winner/s will be drawn randomly via Rafflecopter and must respond within 3 days after being contacted otherwise another winner will be drawn. 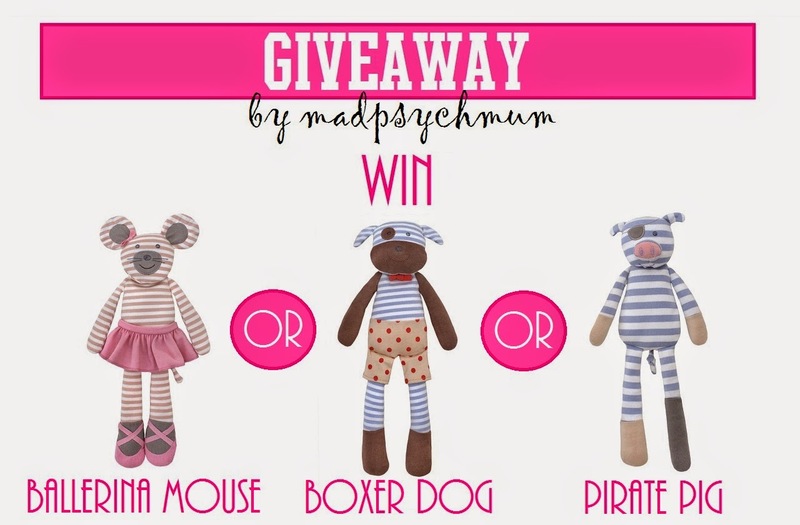 e) Plush will be allocated to the winners according to the discretion of the organiser. Organiser's decision is final. Disclosure: Gifts were received from Shop Beba for the purposes of this review and giveaway (and friendship of course). No monetary compensation was received; all opinions are my own.